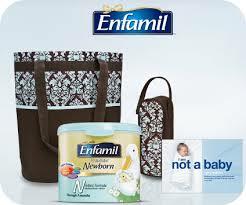 If you plan to use Enfamil formula you can head over here where you can sign up to join Enfamil Family Beginnings where you can get free samples and gifts. Please allow 6-8 weeks for sample and coupons. Limit one per household. This entry was posted in Baby Samples. Bookmark the permalink.